SIMMER DON'T BOIL: Don't add an egg to water which is at a rolling boil, it's too violent & you'll likely end up with egg soup. You should take the water to a gentle simmer, not an aggressive boil. Add the egg delicately from a ramekin into a medium pan with about 3 inches of water up the sides for a straightforward approach. ADD A TEASPOON OF VINEGAR to the water. This lowers the temperature at which the white solidifies, helping you to achieve a perfect poach. 3 minutes is a good guide time for a runny yolk. 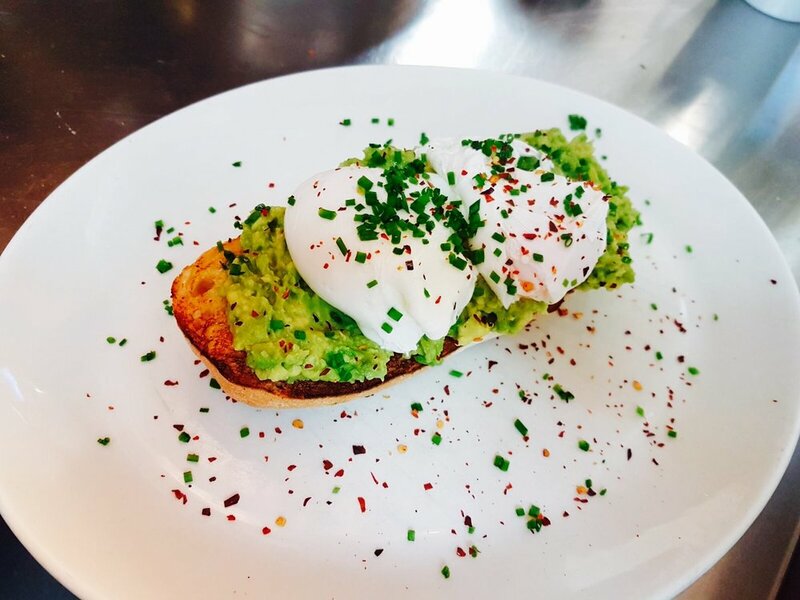 You can visit us across the cotswolds if you'd like to sample our Chilli Smashed Avocado & Eggs on Sourdough (pictured), or perhaps an Eggs Benedict or Royale if you'd rather. See our menu for more details.